Book Review of Glyn, A. (2006): Capitalism Unleashed: Finance, Globalization and Welfare. Oxford University Press, 256 pp. 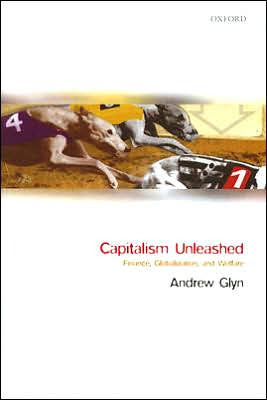 Andrew Glyn, who died recently (Dec 22, 2007), was a prominent socialist economist. His last book offers an excellent overview of the major transformations in advanced capitalist economies since 1980. Using macroeconomic statistics to bolster his arguments und building on a rich knowledge of relevant literature in many areas, Glyn gives an impressive account that is accessible and enlightening to the interested general reader and will be useful to professional economists. The long boom of the postwar period had led to an increased power of labor. Labor’s increased income claims resulted in a period of heightened industrial and political conflict and in wage-price spiral (Chapter 1). From the late 1970s economic policy changed course (Chapter 2): monetary policy shifted to anti-inflationary policy, accepting the resulting mass unemployment as a necessary cost; fiscal policy shifted from the pursuit of full employment to budgetary consolidation; financial markets and product markets were deregulated, including large scale privatizations, and labor markets were reformed under the heading of ‘flexibilization’. All of these changes resulted in an economic contraction and a period of high unemployment. Chapter 3 deals with the changes in the financial sector and the increasing role finance plays in the governance of non-financial businesses. Glyn notes that shareholder value orientation resulted in competitive downsizing, in higher pay rolls for CEO, in a series of financial scandals and in an increased frequency of financial crises. The link between consumption expenditures have and current income has been weakened in many countries. Consumption has often become the driving force of demand growth. The effects of globalization are discussed in Chapter 4. Here Glyn highlights the increases of current account deficits and surpluses (relative to GDP) and the emergence of China as an important manufacturing exporter. He puts the discussion of globalization in perspective by noting that international trade is restricted to manufacturing goods and small segments of business services, but has no direct effect on the majority of jobs in advanced economies, which are predominantly in non-tradable services. 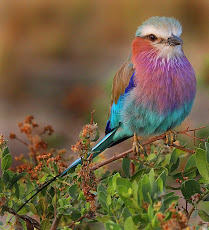 Developments in wages, employment and income distribution (Chapter 5) can thus not be fully explained by globalization. Glyn discusses the employment prospects of low skilled workers comparing the USA and Europe and rejects the equality-employment trade-off frequently found in the literature. The performance of liberalized economies with respect to growth and stability is evaluated in Chapter 6. Overall growth performance has been disappointing (even by the standards of the proponents of these changes): growth has failed to improve and even productivity growth in the USA is restricted to a few sectors. Finally chapter 7 turns to policy issues. First, it highlights that the room for manoeuvre is greater that often presumed. Globalization has not led to a convergence towards a weak welfare state regime across countries. Rather, welfare state regimes have maintained their differences and have, if anything, become exacerbated. Social expenditures (as share of GDP) have decline more in the Anglo-Saxon countries than in Scandinavia. Second, Glyn draws on recent research that has used survey data to discover that people’s happiness depends on their position relative to other (rather than on some absolute level of consumption), to reiterate traditional progressive values of equality. The book then finishes by advocating a guaranteed basic income. Overall Glyn has given an useful overview over recent developments. As the book covers terrain that many progressive Keynesian economists will agree on, its strength lies in synthesis and clarity of exposition rather than in its novelty. The book is concise and makes for a swift reading. As it covers a broad range of topics it has to be brief on some of the issues raised. Consequently there are some loose ends. For example the reader is left wondering what the significance of the technological revolution of ICT is. While Glyn seems to accept some importance in terms of negative employment performance for low skill workers in Europe (in Chapter 5), the effects and sustainability of productivity improvements due to ICT are questioned in Chapter 6. While the financial sector has become increasingly central to economic performance and financial crises have been become more frequent (chapter 3), chapter 6 notes that economic growth has become less volatile. The book often has an implicit focus on the UK and USA. The discussion of the European monetary and economic integration is rather short. The chapter on globalization treats China extensively, but fails to mention the central and eastern European transformation economies, which arguably may have even greater effects on European labor markets. A short book will inevitably suffer from some omissions. The greatest weakness of the book, however, is the chapter outlining an alternative economic policy, which focuses almost exclusively on a guaranteed minimum income. While the idea may be worth discussing, it remains unclear how it will help to address the challenges raised by globalization and financialization so adeptly highlighted in the previous chapters. This inability to offer a compelling and feasible alternative to capitalism is hardly a shortcoming of Glyn. Rather it is symptomatic for the state of progressive economics. Overall Capitalism unleashed is a stimulating, useful and pleasantly concise book on the development of capitalism since the 1970s. As Glyn’s legacy it will serve as an excellent starting point for future generations of economists who seek to critically analyze the development of capitalist economies. 'This is by far the best economic history of how capitalism developed since the end of World War II and in particular since the 1970s oil shock. It is full of valuable information and should be required reading for students, as it tells clearly the issues and problems that motivate current economic research and debate. 'For those of us who wish to work towards a juster world, despondent whining and wishful thinking are of little use. What we do need is a rigorous, well-documented, intellectually honest analysis of how and why capitalism has been tightening its grip over the world in the last few decades. Andrew Glyn's Capitalism Unleashed offers such an analysis. But it does more. It shows how this development calls for radical reforms different from those traditionally envisaged by capitalism's critics, and how it may well make them possible - at least if we prove persistent enough to keep pushing and clever enough to understand when and how.